George Stephanopoulos Gave to the Clinton Foundation. So What? But … why? Paul accuses Stephanopoulos of harboring a “conflict of interest.” But donating money to a charitable foundation is not an interest. His money is gone regardless of what happens to Clinton’s presidential campaign. It’s true that some donors have an incentive to use the Foundation to get close to the Clintons in a way that might benefit their business interests. And yes, as I’ve argued, the Clintons have handled those conflict-of-interest problems really poorly. But none of those problems reflects poorly on Stephanopoulos. The mere fact that a donation might come with an ulterior motive does not taint all donations. If Stephanopoulos needed some angle to get in the room with the Clintons, donating to their foundation would not be the way to do it. In the absence of a material conflict, is there some symbolic conflict? It is hard to imagine what. The Clinton Foundation has taken on nefarious connotations owing to conflict-of-interest problems that don’t implicate Stephanopoulos. But it is, after all, a charity. It used to have non-partisan overtones.In the heat of the 2012 election, Mitt Romney spoke at the Clinton Global Initiative. News Corporation Foundation and Donald Trump, for goodness sake, donated to it. Stephanopoulos’s defense — that he just wanted to donate to the Foundation’s work on AIDS prevention and deforestation — seems 100 percent persuasive. He is the victim of the ethical taint of the Clintons’ poorly handled business dealings, combined with an underlying right-wing suspicion of the liberal media, but what his critics have yet to produce is a coherent case against him. *Update: Stephanopoulos now says it was $75,000. Longer update: A wave of critical media reporting has come out, and it has underscored my belief that there’s no real case against Stephanopoulos. There’s a justifiable stench emanating from the Clinton Foundation’s relationship with its donors and the disclosure problems surrounding it, and that stench has engulfed Stephanopoulos, but the specific problem with his donation remains unclear and unexplained. Politico’s Jack Shafer, for instance, writes a column heaping abuse on Stephanopoulos, but which treats his guilt as self-evident. The closest Shafer comes to explaining what he did wrong is this: “In his first statement to Byers, he said he gave to the foundation because he believes so deeply in the AIDS and deforestation programs administered by the Clintons. Surely, a politically neutered foundation that does equal or superior works in those areas would accept his philanthropy.” The premise here seems to be that the Clinton Foundation is so political that donating to it amounts to a declaration of partisan loyalty. But if that’s the case, why have Republican candidates spoken for it and donated to it? I agree that Stephanopoulos erred by failing to disclose his donation during an interview about the Clinton Foundation. But the case against him goes far beyond that. Fox News’ Howard Kurtz wags his finger (“cloud of suspicion … grave error in judgment”) and assails Stephanopoulos for his general liberalism and bias without bothering to substantiate his case that his donation was wrong. The Washington Post’s Erik Wemple does make an argument, but not much of one. “The problem with Stephanopoulos’s donations to the Clinton Foundation is that it gives him a stake — even if it’s a small one — in the operations and success of the charity,” he writes, “Like any donor, Stephanopoulos wants his money put to good use and, all else being equal, wants the foundation to prosper as it invests his money in good works.” But how does this bias Stephanopoulos’s campaign coverage? If anything, the Clinton Foundation is more likely to prosper if Hillary Clinton loses, and she and her husband return to managing it full time. Even if this is somehow a “stake,” it’s not a financial stake or even a career stake. Wanting your AIDS prevention donation to do more good is not exactly the kind of bias that seriously compromises one’s journalistic integrity. Perhaps Stephanopoulos’s best defense would be to mention that the Clinton Foundation has developed some bipartisan muscles. Christopher Ruddy, the former Clinton antagonist and boss of conservative media outlet Newsmax, is a Clinton Foundation donor and fan. Bill Clinton welcomed New Jersey Gov. Chris Christie for a 2013 chat at a Clinton Global Initiative (CGI) meeting in Chicago. Republican presidential candidate Mitt Romney addressed CGI in 2012. But Stephanopoulos isn’t mounting this defense, so we won’t either. Wait, what? The defense only counts if the defendant says it himself? What kind of standard is that, anyway? 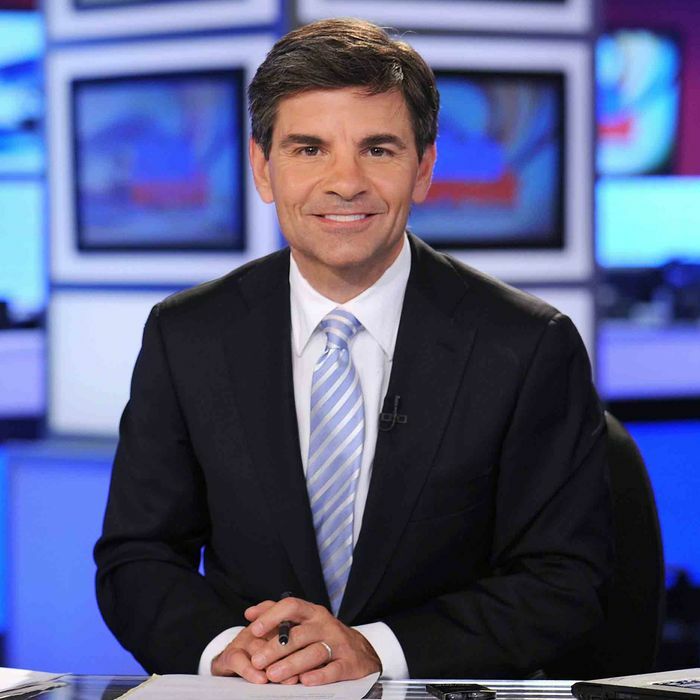 There are lots of reasons why Stephanopoulos is in a defensive crouch. The Clinton Foundation is in a bad odor. He has spent his journalistic career (effectively) rebutting the presumption that he remains loyal to the president that made him famous. The best strategy for Stephanopoulos and ABC is to repent rather than mount a defense critics are in no mood to accept. But that doesn’t make him guilty. Stephanopoulos Gave to Foundation. So What?